The Ambalappuzha Srikrishna Temple at Alappuzha is a perfect spot for those who wish to have a divine trip. According to the historical evidence, the temple was built during 15th -17th century AD. The deity here is Lord Parthasarathy, with a whip on his one hand and a 'Shanku' (sacred conch) on his other hand. 'Parthasarathy' is Lord Krishna as the 'Charioteer' of Arjuna. At Ambalappuzha, you will able to taste the ever famous 'Ambalapuzha Palpayasam', very auspicious for the devotees. On the walls of the temple you can see paintings of Dashavatharam (ten incarnations of Lord Vishnu). It is also quite interesting to know that the famous art form 'Ottam Thullal' was first performed by Kunjan Nambiar on the premises of this temple. The temple is around 14.6 km away from Alappuzha. 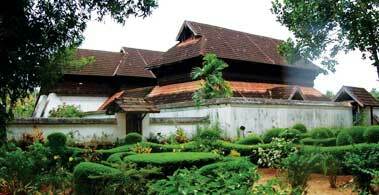 This 18th century palace is now a museum located in Kayamkulam at Alappuzha district. Built by the Travancore king Anizham Thirunal Marthanda Varma, the museum boasts architectural richness of Kerala. The palace is now maintained by the Archeological Department of Kerala. Krishnapuram Palace will be a perfect stop for art lovers. The collections of ancient paintings, sculptures, coins etc. will take you back to time. You can see here mural of 'Gajendra Moksham', Kayamkulam sword, Buddha's statue of 10th century etc. The palace is placed 47 km away from Alappuzha. Karumadi is a village near Ambalappuzha (3 km away), where you can find the famous Buddha statue, Karumadikuttan. Karumadikuttan is a black granite statue, which is said to be built between 9th and 14th century. 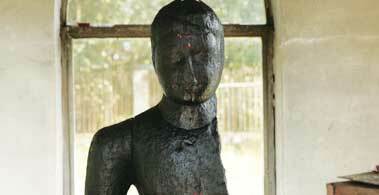 This statue is historically significant as it is a unique evidence for Buddhism in Kerala. You can see Buddha in sitting position, placed in the banks of 'Punnamada Lake'. Don't miss to visit the only Buddhist temple in Kerala, while your trip to Alappuzha. The place is around 16.9 km away from Alappuzha. If you are a nature lover, who loves to get indulged with the nature and want to experience the real tranquility and serenity of the nature, then this beautiful island, Pathiramanal will be the perfect location for you. Come to this island to watch hundreds of migratory birds from different corners of the world. 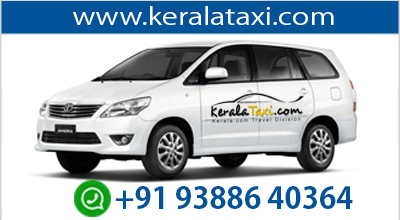 Surrounded by the Vembanad Lake, the island is very easily assessable from Alappuzha. A one and half hours motor boat drive and 30 minutes drive by speed boat will take you to this beautiful island. One can never miss 'Kuttanad' while they plan their trip to Alappuzha. 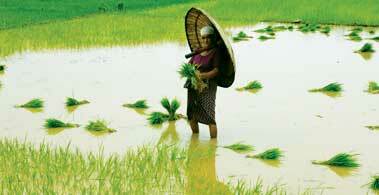 Kuttanad is the rice bowl of Kerala. The green paddy fields, the numerous canals, tall coconut trees, house boats etc attracts tourists – both domestic and international to Kuttanad. The unique fact of Kuttanad is that, this is the only place in the world, where farming is done 1.5 to 2 m below sea level. 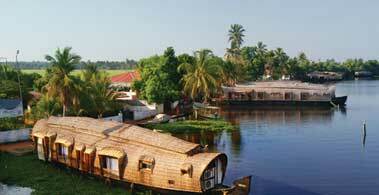 Kuttanad is also famous for its delicious dishes especially fish recipes. You can get here local fish curries and can have it with tapioca. Kuttanad is around 21.9 km away from Alappuzha. Alappuzha is also perfect place for enjoying a fabulous beach holiday. The Alappuzha Beach here will be an ideal place for you to indulge with the waves. Have a short break from the hustles and bustles of your life and take a small walk through the beach shore. You can also see a small park here and also lighthouse, which always attracts the travellers. The remains of a sea bridge can be seen here, which reminds you the good old days of Alappuzha as a port city. The beach is around 1 km away from Alappuzha railway station. 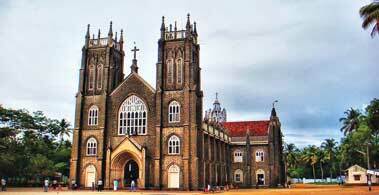 The 16th century church built by the Portuguese is one of the attractions in Alappuzha. The church is very famous for the feast of St Sebastian. 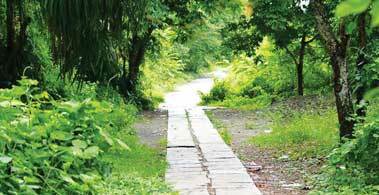 The town is located 22 kms north of Alappuzha town. The statue of St Sebastian was built in the year 1640. St Sebastian was a christian martyr killed by the Roman emperor. If you are visiting this place on the month of January, you will be able to witness the famous St Sebastian's Feast. The feast usually starts on January 10 and will extend till January 26. the main feast is on January 20th. On that day the statue of St Sebastian is taken for procession.